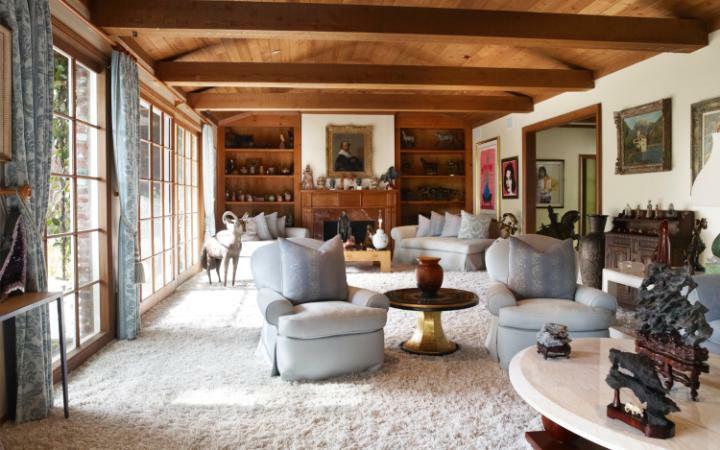 Ascend Rugs was very fortunate to be chosen, in the middle of 2008, to supply the shag pile Merino wool carpet for Elizabeth Taylor. Iconic US photographer Catherine Opie has recently published her new work – 700 Nimes Road. Shortly before Elizabeth Taylor`s death in March 2011, Catherine was given unprecedented access to her house – 700 Nimes Road – to photograph. The work resulted in a book as well as a set of 50 large prints showing the intimate details of the rooms, clothes, jewellery and furnishings of the famous actress. Ascend Rugs was very fortunate to be chosen, in the middle of 2008, to supply the shag pile Merino wool carpet for some of the rooms of the house we did this via Westwood Carpets in Beverly Boulevard. Around 175 square yards of natural white Merino wool shag pile product was used in the shoe room, dressing room and parts of the living area. It is great to see Bambino II installed in “ The Shoe Closet “ in Catherine Opie`s work as well in some of the other photographs.